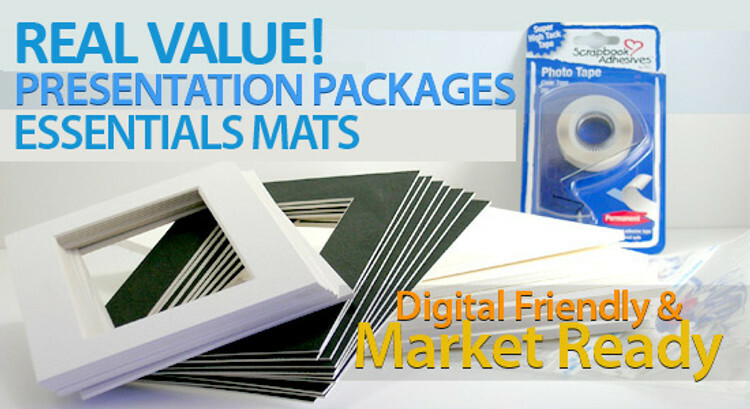 6 x 6 square mat packages - includes 25 mats, 25 manilla board backings and 25 clear polybags..
8x10 Single 25 Pack (Standard Whitecore) - includes mats, backing, sleeves and tape! 8x8 Square Single 25 Pack (Standard) - - includes 25 mats, 25 manilla board backings and 25 clear polybags..
12x16 Single 25 Pack (For Digital Sizes) (White Core) - includes mats, backing, sleeves and tape! 16x20 Single 25 Pack (Standard White Core) - includes mats, backing, sleeves and tape!